Did You Quit Smoking? Brighten up Your Smile Again! Smoking is a bad habit. We all know it and promise to quit someday. Some people really do make it happen even though it takes a lot of conviction and common sense to realize it is bad for you, determining to quit for good. CONGRATULATIONS! if you are a one of the strong ex-smokers out there with only one more thing left to recover—a beautiful bright smile! Cigarette causes teeth stains which is the most common side effect for this habit. If you have been a regular smoker and quit, chances are your will have stains. Additionally, if you also drink wine, coffee or tea, these items often cause stains as well. Fortunately though, there are a lot of teeth whitening products that work for each specific case. Some mild stains may be whitened by home products and others will need a deeper, more aggressive approach which is better determined by our dentist in Pasadena once a complete check out is done. 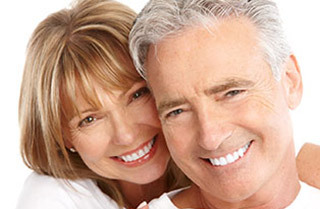 At Prestige Dental we have a wide variety of dental services for you, including cosmetic dentistry. Visit our website and schedule your appointment today!